Liberal billionaire George Soros purchased $3 million worth of stock holdings in the publisher of the New York Times, filings show. 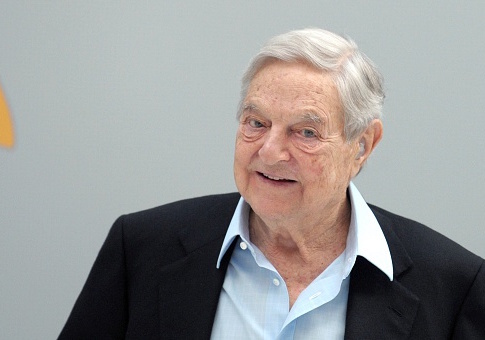 Soros Fund Management is the vehicle used by the financier to purchase and sell various company holdings. The Times recently reported that Soros is a partial owner of Justify, the racehorse who won the Triple Crown, through his fund. This Washington Free Beacon reporter was previously employed by the Media Research Center. Soros disburses funding to a number of groups that then, in turn, push funding to other organizations, making it nearly impossible to trace the true figure, Gainor noted. This entry was posted in Issues and tagged George Soros, New York Times. Bookmark the permalink.